Properties in the Pocono Mountains go all out with holiday decorating. From life-size gingerbread houses to a colossal collection of Santa’s, there’s plenty of holiday cheer to go around. Take a look! Browse the over-the-top decorations below, and come check out the season’s greetings yourself. The James Manning House Bed & Breakfast undergoes a complete holiday transformation in December. The entire B&B is decorated, from top to bottom, in conjunction with Christmas in the Village in the town of Bethany. Festive decorations cannot be ignored with a decorated tree in every room in addition to other ornaments and accessories throughout the establishment. 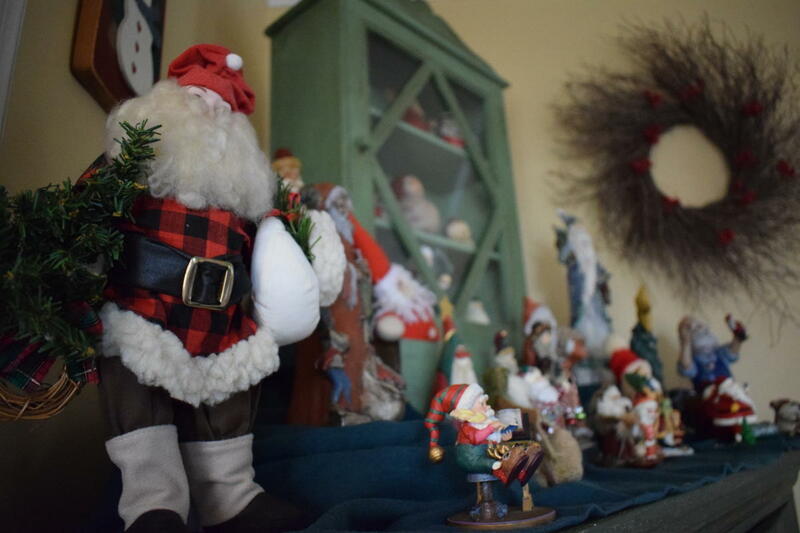 The James Manning House has been recognized by Happenings Magazine for their Santa collection; 367 Santa’s and STILL growing! Accommodations are available at The James Manning House Bed & Breakfast during the holiday season. 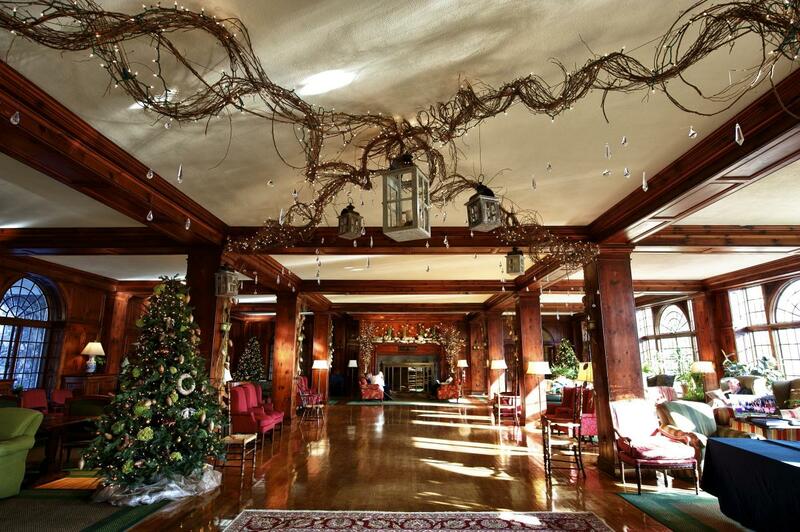 Skytop Lodge features warming decorations you are sure to love for the entire month of December. Experience a life-size gingerbread house in the main lobby. Yes, you read that correctly. Walk through this gingerbread house, and relive the holiday memories you remember as a kid. Skytop’s lobby is decked out in holiday appeal where you can enjoy story time by the fireplace. Take part in the tree lighting ceremony, a horse-drawn carriage ride or breakfast with Saint Nick! 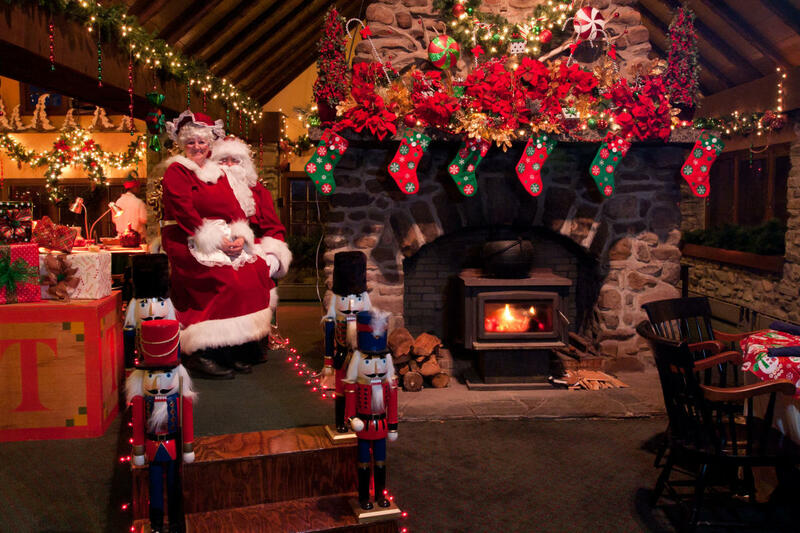 For exclusive Santa sightings, discover holiday events and offers with a stay at Skytop Lodge. 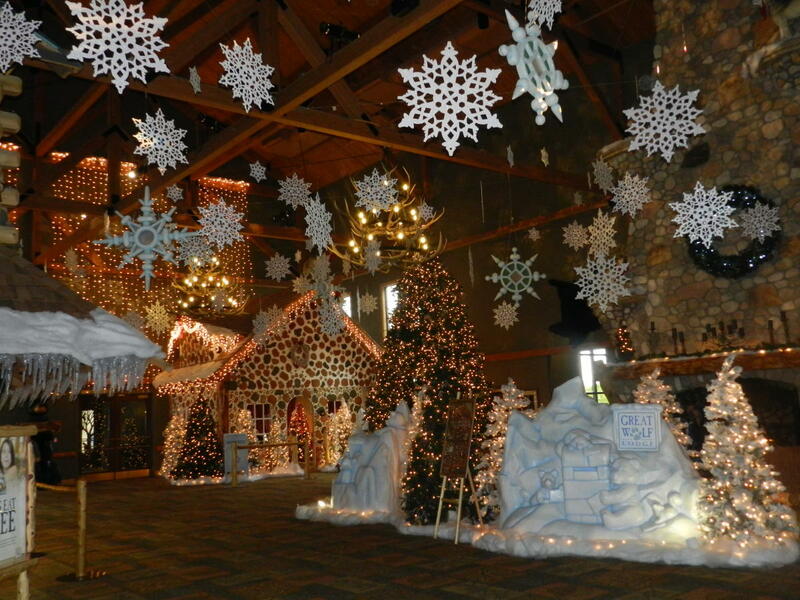 Great Wolf Lodge brings a holiday winter wonderland to life with Snowland. From now until January 1, 2018, Snowland celebrates the joys of the season with festive activities and events. Nightly snow showers and a life-size gingerbread house greet you as you walk into the lobby. You can even reserve a holiday dining experience inside the gingerbread house! Enjoy visits with Santa Claus, festive family flicks, Snowland story time, Merry-Oke and so much more. To experience these seasonal festivities, visit Great Wolf Lodge for more information on a stay during the howlidays. ‘Tis the season at Woodloch Resort. 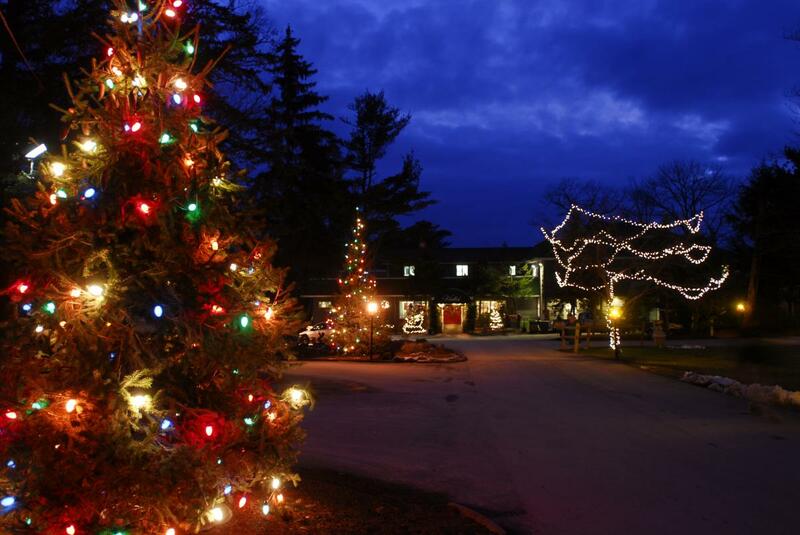 On 135 private acres, Woodloch embraces the holiday season with traditions old and new. Guests can enjoy the Festival of Lights with a holiday ride along Woodloch’s nature trail. Another seasonal treat is captured with a Yule Log Hunt. Guests can search for the special birch log, and be granted good luck for the new year. Holiday caroling, delicious cookies and eggnog are abundant in celebration of festivities. You may even encounter an extraordinary jolly ole fellow during these activities; depending if you’re naughty or nice! For additional holiday information, check out Woodloch Resort’s festivities and accommodations. Ever wish you could visit the North Pole? Now’s your chance at Pocono Manor Resort & Spa! The Resort converts into a holiday utopia for both young and old to appreciate. From weekends now until December 24, 2017, attend the Magical Fireside Christmas to celebrate the season. You can expect a full-on holiday light display, Santa&apos;s Workshop full of holiday crafts for all ages, letter writing to Santa, cookie decorating and more. You can even help take care of Rudolph and the team by feeding them! Anyone can purchase tickets to attend this enchanted event. Find lodging accommodations at Pocono Manor Resort & Spa, and enjoy the season. Interested in spending the night? Check out our places to stay to find even more holiday decorated retreats. Even find holiday special offers before booking! Be sure to browse our things to do, holiday festivities and events while in the area. Discover winter fun and snow activities while you&apos;re at it! Happy Holidays from the Pocono Mountains!